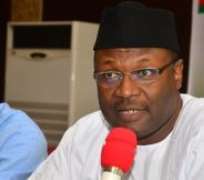 The Independent National Electoral Commission (INEC) has accused PDP's presidential candidate in the 2019 election, Atiku Abubakar, of manufacturing results of the last presidential election to prove his case at the Presidential Election Petitions Tribunal. Mr Abubakar's legal team submitted the sheet at the tribunal last month, contending it was obtained from an internal compilation of results on INEC's Internet server. Mr Abubakar was derided by supporters of the ruling All Progressives Congress after the claim became public. Mr Buhari's campaign also wrote to the police and the State Security Service to launch a criminal investigation against Mr Abubakar. It accused him of maliciously accessing INEC's files.